So many of you know I was collecting signatures to get my candidate’s statement in the Oregon Voters pamphlet. While I was successful in getting over the required 300 signatures, the State Elections office said there was not enough time to validate the signatures before the cutoff. So they refused to make the effort and suggested I pay the $2500 dollar fee instead. I just did my taxes, and I don’t feel I need to give the state any more money, so I refused. I am on the ballot, so have no fear. You can still vote for me in May. 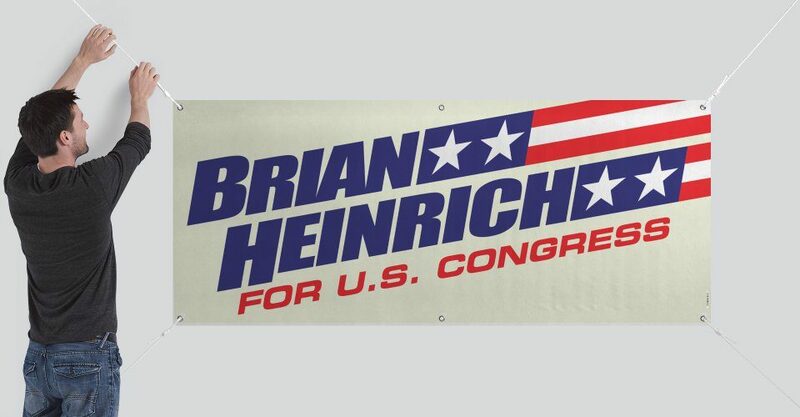 But voters will need to look at my Facebook, Twitter, and http://www.heinrichfororegon.org to get to know Brian Heinrich, Future Congressman. Collecting signatures was an interesting experience. Some people signed with no concern. Others were skeptical. Some were down right rude. By signing, that person was requesting the state elections board publish my statement. No other mandate or requirement was included. And it got me thinking about people’s’ fear of committing themselves to an idea. Imagine if you were asked to sign a statement that said “…with a firm reliance on the protection of divine Providence, we mutually pledge to each other our Lives, our Fortunes and our sacred Honor.” Is there anything that you would believe so strongly in that you would make that commitment? 56 men did 240 years ago. These men committed everything they had to the idea of liberty and self government. All by signing a piece of parchment. They pledged all of their resources to an idea that had never been tried, let alone proven. John Hancock was so passionate about the cause, that he signed the Declaration of Independence with the largest signature. We truly must celebrate the men and women that did so much to create this great nation. Their passion gave us freedom and so much more. So next time someone asks you to consider signing a petition, please give that person the opportunity to tell you what it is for. Listen to what they have to say. You never know, you could be signing (or not signing) something that may forever change the course of nations.